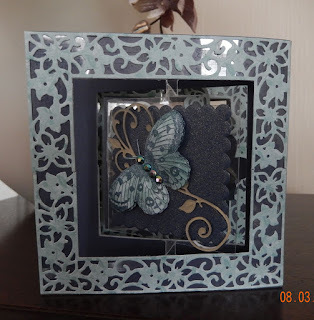 It was made using Crafters Companion accordion card die and some thick acetate, I put the lacey overlay on and backed it with some French navy card, the old saying is 'Blue and Green should never be seen' but I really love this colour combination. Once the frames were constructed and teased into shape the fun began cutting out all those butterflies and making them flutterby. 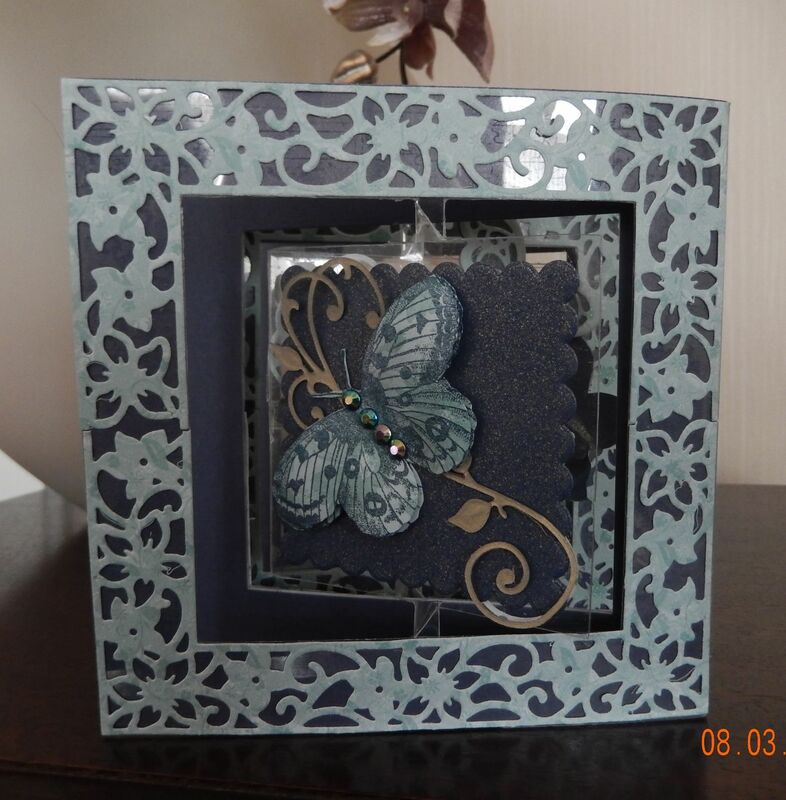 I always have a crafty program on the tv in the craft room, the lady on the tv was also using butterflies on the card she was making and the presenter asked 'Do you know what they call a group of butterflies?' and the answer came back 'A Kaleidoscope of Butterflies' (yes I had to lookup the spelling!!) so there you are you learn something new everyday. Oh Annie this is simply breathtaking!! 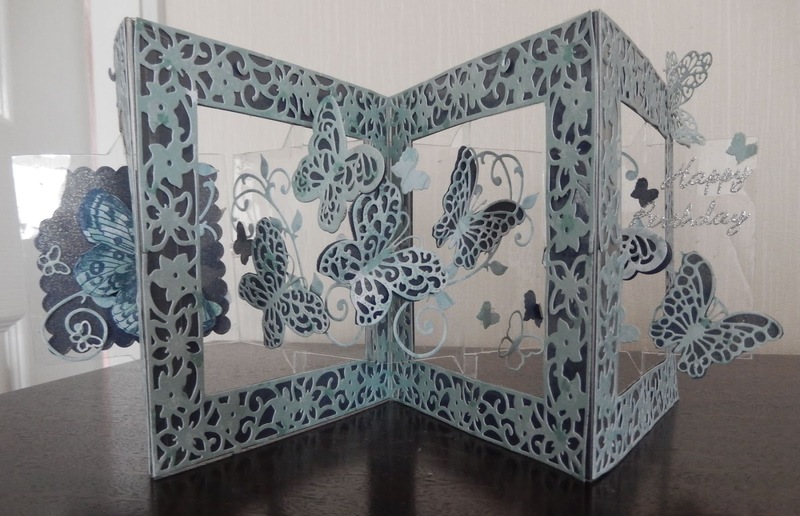 What a fabulous design...the fold is awesome...all those wonderful butterflies make me feel Spring! Our weather has been warmer this last week...after a big snow storm the previous week...so the hint of Spring is in our air! Your Jasper looks adorable!!! Have a most wonderful weekend Annie!! wow Annie....this card is stunning...this is real art! I am impressed that you can make card like this.....I think it looks so difficult. 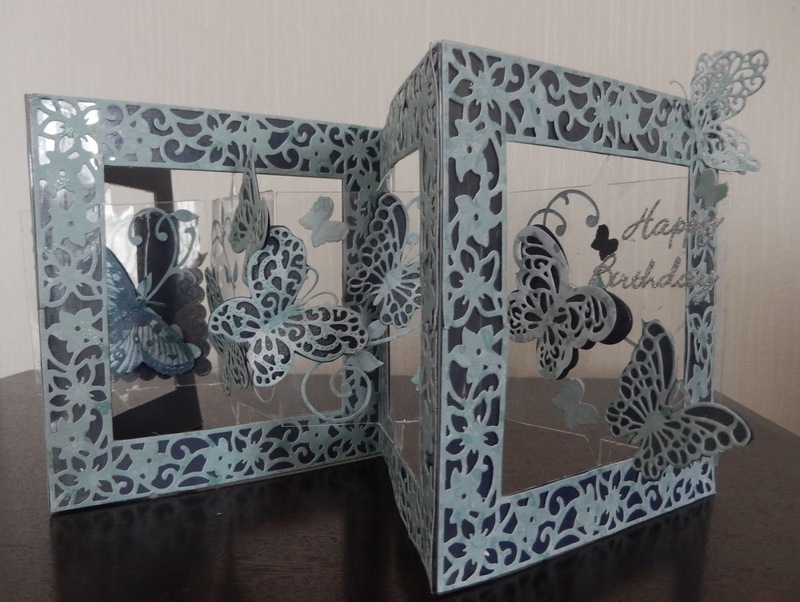 WOW Annie, a beautiful, beautiful card....I love the design and butterflies!! How lucky you are to have Jasper to play with, he sue is a handsome fellow!! 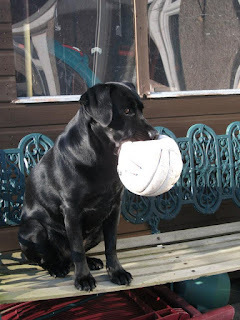 We lost our dog a month ago to cancer and I am still lost without her by my side! !